We will drive along Israel's coastal highway to Caesarea, one-time administrative capital of Roman Judea and home to some of the finest Roman ruins you can see on this side of the Mediterranean, as well as impressive Crusader fortifications.We will visit the Roman Theatre, new archeological excavations, the Stadium, the Castle and Public buildings from the Roman Era, we will walk on Byzantine walkway in Crusader’s Port and on to the water channel that reached Caeserea from the Carmel from a distance of 15km.Drive to Haifa and visit the magnificent Bahai Gardens with a Haifa view. 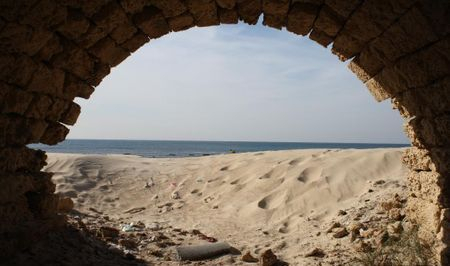 Drive to Acre and visit the Crusader Ancient city as well as the market. Continue to Rosh Hanikra and travel down by cable car to Grottos and cave ravine. In ancient times Caeserea was a Phoenician fisherman’s village known as Migdal Shorshan, Alexander the Great conquered the village. Herod recognized the city’s potential and changed it to a prosperous port, calling it Caeserea in the name of Augustus Caesar.We will visit the Roman Theatre, new archeological excavations, the Stadium, the Castle and Public buildings from the Roman Era, we will walk on Byzantine walkway in Crusader’s Port and on to the water channel that reached Caeserea from the Carmel from a distance of 15km. The green Carmel, blue sea and the golden sand at the beach front. A modern harbor and remarkable beaches. Breathtaking landscape of the Haifa Bay area and Bahá'í Gardens, and the Carmel National Park.We will drive to Haifa and visit the magnificent Bahai Gardens with a Haifa view. 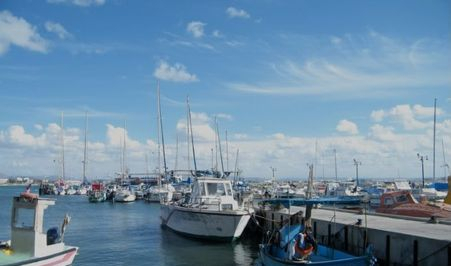 Drive to Acre and visit the Crusader Ancient city as well as the market . If time permitting,one of the following are available:Visit Tel Dor Museum of Glassware , Ein Hod artists village , Acre Prison, Mosque of El Gazer or a walk on the walls of the ancient city, Monfort, ancient Crusader fortress, Druze villages, marketplaces, visit the Carmelite monastery and overview from the Muhraka . We will visit the Roman Theatre, new archaeological excavations, the Stadium, the Castle and Public buildings from the Roman Era, we will walk on Byzantine walkway in Crusader’s Port and on to the water channel that reached Caeserea from the Carmel from a distance of 15km. 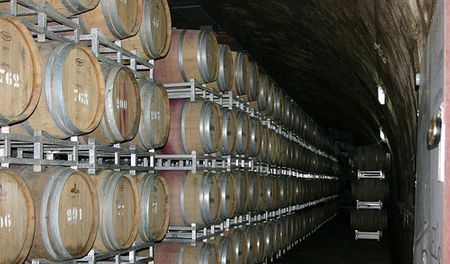 Continue to Zichron, the 19th century walkway, Beit Nili, the Winery built by the Baron. 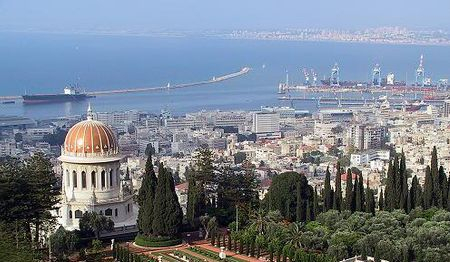 Haifa, visit the Bahai Gardens, the German templar settlement and a panoramic overview of the city and the bay. Return via Druze villages and visit the marketplace of Daliat-El-Carmel. Visit the Muhraka and magnificent overview of the Jezreel Valley. Drive to Haifa and visit the magnificent Bahai Gardens with a Haifa view.